I really don't understand why people are so harmful to others. It saddens me to think that anyone has to go through this much pain and heartache. No one should have to fear going outside everyday, and it's starting to become that bad! I feel the same way! I think I will get to the point where I am afraid to take my children to experience a theme park. That's pretty bad! Not to mention totally sad. It seems as though evil is just escalating in the World, it is so sad. Oh, this is such a horrible tragedy! I cannot stop crying when i see or hear about it. Its just so sad that we as a world have to hurt innocent people! I understand that countries get angry and that there is never 100% peace (so sad!) but I dont think hurting people is the answer, it only makes it worse! 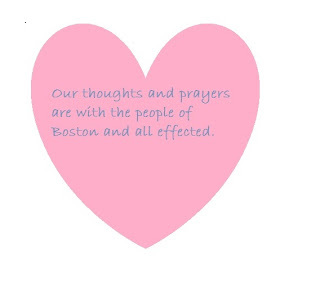 My heart reaches out to those familys and friends who have been effected. God grant us grace! It's so sad, but if the news today is true, as least justice should be swift.